There’s something glorious about .gifs, the short video clips that proliferate across the internet. Not quite as demanding of commitment as a full video, slightly more than a still image. These mighty little loops of endless wonder can express joy, surprise, or disdain far better than their static counterpart. They are an artform unique to the web. Yet, somehow, the humble .gif has never garnered the same level of prestige as a carefully crafted photograph or a lovingly edited documentary. Heck, some science communicators think we should to away with .gifs completely. This is, of course, misguided. 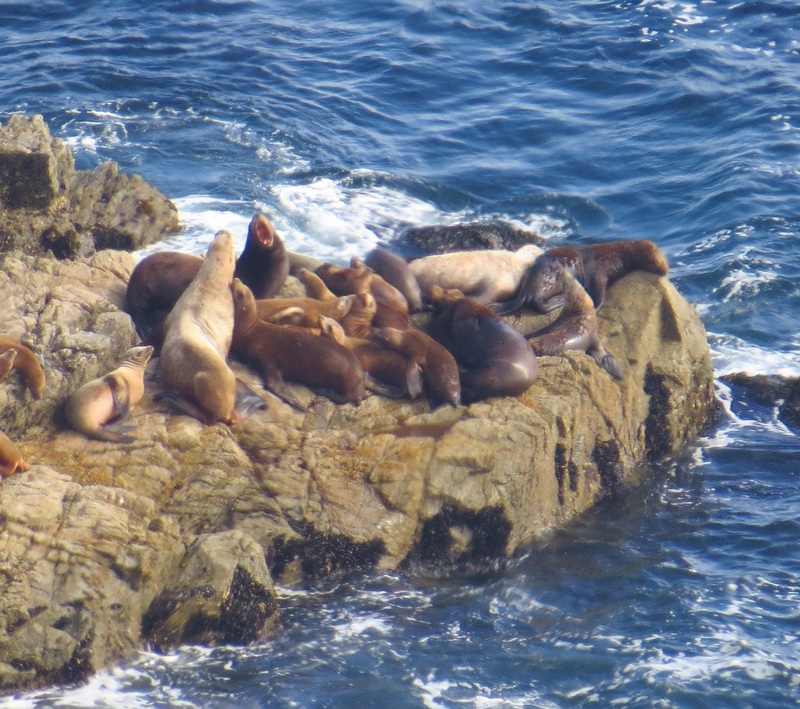 Sea Lions fight at Point Reyes. Photo by author. There’s drama. Energy. You can see the aggression in the bull sea lion’s face. But there’s also a lot missing. You can’t see the chaos on the haul out, the power of the moment, the speed and fury of the fight. Sure, I could post a video, but videos require a level of commitment that is not necessarily warranted to illuminate this moment. Give me three seconds of motion on a repeated loop and I can show you an incredible moment. Elephant seal. Image by author. Elephant seals, for the record, also have epic fights. So, science communicators, natural historians, and nature photographers, consider this a call to action. Go forth, and take not just pictures, but shoot video. Short video. Video with the intent of making .gifs. The internet has given us yet another tool in the grand arsenal of science outreach. Don’t let is go to waste. Wait, Andrew, are you saying we should give up on nature photography and become nature giphographers? No! Of course not. Photographs have their own power. A brilliant still image can be just as compelling and powerful as one that moves. 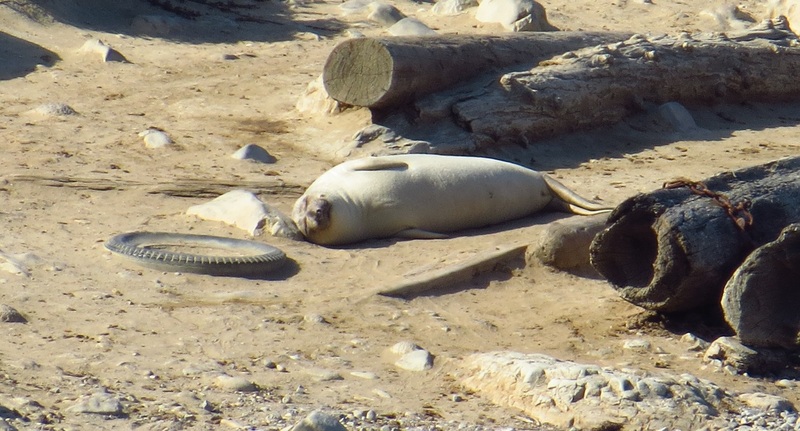 This is an incredibly satisfied elephant seal lying amid beach trash. Photo by author. These are simply tools to promote and enhance science communication. Gifs are not perfect for all situations, but natural history most certainly needs more of them. So go forth, into nature, and, the next time you see a fascinating bit of animal behavior, consider hitting record. Here’s a fantastic guide to making .gifs from video using free, open-source software. Note: I release all the .gifs published on this post to the public domain. Go forth and spread joy. I think gifs are fantastic and often share them with friends. And I agree that we need more nature / science ones! Not yet confident to make one myself though – maybe for this season’s To Do list?